Teeball baseball has allowed many kids the chance to start their baseball or softball careers at a young age. For many it may be a career that lasts only a few years and then they move on to another sport or activity. But t ball is the one sport that can be played by young children that just got out of diapers. A teeball game may look like organized chaos, but that is the beauty of it. Its small boys and girls trying to play a game that requires a lot of skill. Unlike basketball and football, teeball baseball actually does provide a resemblance of the true sport. Kids hit the ball and then run the bases. Granted there are coaches helping every step of the way, but no one is born knowing how to play a sport. Here’s how you can tell it is a fun and rewarding experience for all. Visit a couple of teeball games and then go to a nine year old little league game. There will be twice to three times as many fans at the t ball game as there are at the older baseball game. One reason for that is everyone has fun. 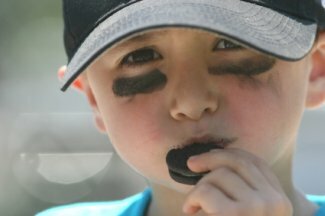 The awful stories that we hear about with youth sports and overbearing parents or screaming coaching has not begun at the teeball age. Typically no official score is kept, so no pressure on the coach or team to try and win the game. Winning in t ball is just showing up and playing. Ask kids after a game what the score was, or even who won the game, and nine out of ten will tell you they don’t know or care. But if the snacks after the game are somehow forgotten, then you have some mad kids on your hands. Another reason teeball baseball is so popular is the small amount of cost involved to play compared to other sports or activities. Soccer may also be fairly inexpensive, but football, gymnastics and even basketball with the cost of facilities is typically much more expensive. You will need to acquire a glove for your child. These can often be found at garage sales or ask a friend or relative who has an older child. They may have one just laying around. Teeball gloves certainly don’t wear out in a couple of seasons. The only other typical cost is a one time fee from the league. Facilities are cheap since t ball can be played on about any flat piece of land. And there is usually only the need for one umpire in teeball games. All of this should add up to a small league fee. 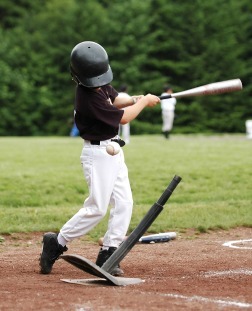 Of course you may want to buy your child a helmet and bat to use. Teams usually supply these, but it’s nice to have your own. And you could buy a batting tee for practice at home. Practicing at home can really help a young player. One thing most t ball league are looking for are more coaches. T ball leagues will have way more kids signed up than they have coaches for. I have seen leagues turn down kids to play because there were not enough coaches. Coaching teeball baseball is a painless exercise that is actually a lot of fun. One great thing about this age is many parents will volunteer to help; they just don’t want to be in charge. You might want to give coaching tee ball some thought. It is a great way to bond with your own child, and also make new friends that will last for a lifetime. 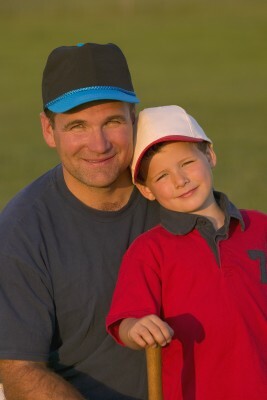 Treating kids the right way will win the respect and admiration of their parents. It’s a feel good mood. But if you are thinking you know nothing about coaching teeball baseball, I have your answer for you. After my many years of coaching t ball and little league I have written an eBook of 40 easy to read pages that will hold your hand and tell you what to do every step of the way. There is no need for you to make the same mistakes I made. And for a small fee you can download this eBook immediately. The book takes you from your first phone call to parents all the way to the season ending banquet. It suggests drills for your practices and how to use your assistants. To learn more just click here, Everything a New T Ball Coach Needs to Know.